Guest writers from Audrey Journal met with three musicians at different points in their careers. All three will present their skills in three concerts during Spring. This is part 2. What were the kids listening to in 2002? Nellie has a monster hit with Hot in Herre. Eminem dropped Without Me. Usher, Pink, Kelly Clarkson and Jo-Lo were everywhere. But Adam Swanson, then aged 10, wasn’t listening to anything in the Billboard Chart. His ears were pricked to the hit sounds of a century ago – ragtime. Just a year after first hearing Scott Joplin’s Maple Leaf Rag, Swanson was strutting his stuff in the junior division of the World Championship Old-Time Piano Playing Contest. He won. By the time he turned 12, Swanson was playing in heritage music festivals. At 13 he played the prestigious Cincinnati Blues Festival. He’s played for composer Richard M. Sherman (Disney’s Mary Poppins and The Jungle Book) and, recently, for silver screen-era Hollywood actress Mary Carlisle, aged 103. 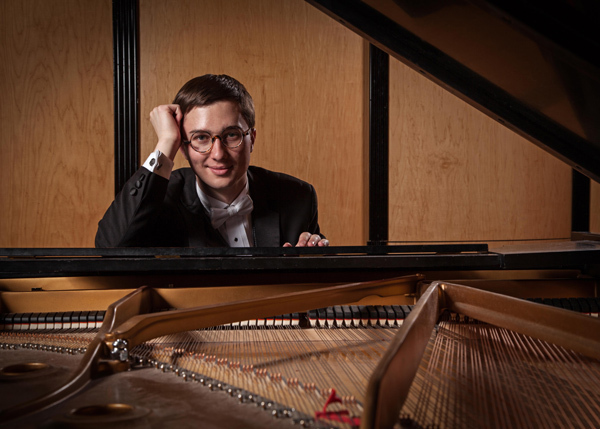 He graduated with a degree in classical piano and completed a master’s degree in musicology at the Peabody Conservatory of Johns Hopkins University in 2015, and is now considered one of the leading ragtime pianists in the United States. That gig is a link to ragtime’s past. The previous occupant of the Strater’s piano stool was Johnny Maddox, a multi-million selling artist whose own interest in ragtime music went back to an aunt who played in ragtime orchestras and vaudeville bands in the early 1900s. Energetic and syncopated, ragtime developed as a distinct style in the 1890s in the southern cities where African American pianists combined African rhythms with European marches, Swanson explains. While the style is very much associated with the great black composers of the day – Scott Joplin, James Scott, Jelly Roll Morton and others – it was written and performed by white artists, too, women as well as men. Ragtime’s popularity was eclipsed after World War I by the rise of jazz but there were revivals of interest, beginning in the 1950s with the multi-million selling pianist Winifred Atwell. Swanson finds himself playing to an older demographic much of the time though he’s on a mission to bring ragtime and its spin off styles to younger sets of ears. Swanson’s first tour to Australia sees him playing regional venues, the Riverside Theatres, and in Newcastle where he’ll play with a local jazz band. Swanson says he’s honing his repertoire to include some period Australian classics. Written by Jason Blake and originally published on Audrey Journal. 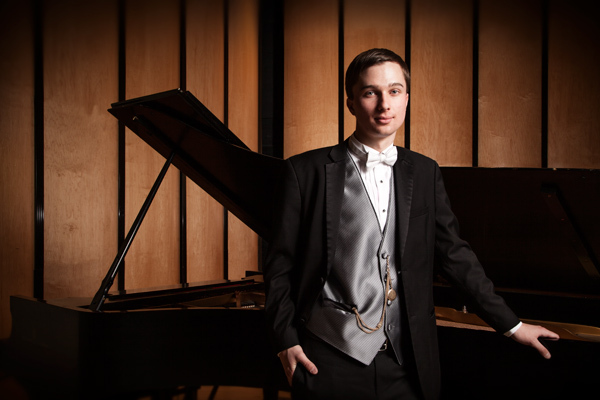 A Ragtime Feast will be performed by Adam Swanson at Riverside on Saturday 4 November at 3pm.